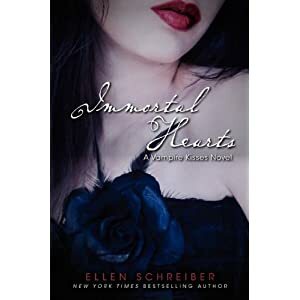 Immortal Hearts (Vampire Kisses #9) by Ellen Schreiber - Set to release on May 15thThis is the last book to the Vampire Kisses series (one of my all time favorite book series) and I've got so many mixed emotions of excitement and sadness, wanting to find out what happens and upset the adventures will be ending. I'm sure you guys can relate to that. I recently read the first book of this series (read review here) and I'm excited for the release of the last and final book to the trilogy. .....And so many other book releases are coming out during this wonderful month of May. April showers bring my flowers and cliff-hanger hooks bring anticipated May books :). What books releases are you looking forward to this month? I haven't read the Vampire Kisses series but it does sound awesome !! I really look forward t oboth The Immortal Rules and Body and Soul too :) !! I also am dying to read Insurgent by Veronica Roth, City of Lost Souls by Cassandra Clare, Sweet Evil by Wendy Higgins and Destined by Aprilynne Pike that are all releasing this month !!! May is going to be epic !! You should totally read it, it's one of the best vampire series ever. Ellen Schreiber (the author) is a comedian in real life so the books are pretty hillarious :) Oh I haven't read Insurgent yet :) it sounds really good.